Great Wall Steed 2.0 TD S Pickup 4X4 4drGREAT VALUE & NO VAT !!!!! 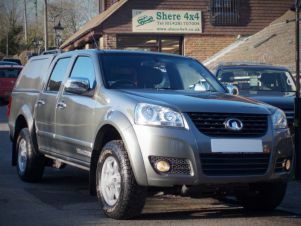 Great Wall Steed 2.0 TD SE Pickup 4X4 4dr#NO VAT! #FROM £145PM #NO VAT!